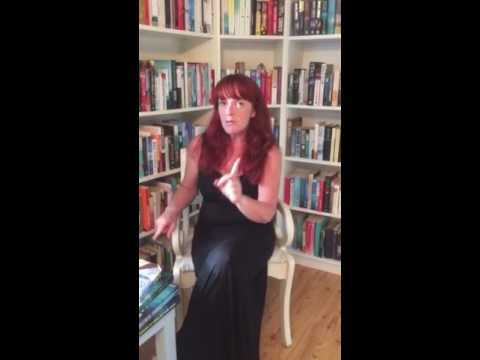 BleachHouseLibrary.ie: Book Review - "Choose Me" by Kay Langdale. What happens when your Mum dies and there is no one left to take you in? This is the devastation situation for nine-year-old Billy. When he loses his mum, his whole life is turned upside down in an instant. He has never known his father and his grandparents moved to Spain when their daughter began slipping away from them. Social worker, Miriam, is left to pick up the pieces of Billy's life and she is desperately trying to find him his 'forever family'. The options are limited, as not many families want to adopt an older child, preferring to extend their families with babies, and Miriam needs to pull a few strings to begin the search. Can there be a chance for Billy to start afresh, away from long-term foster care? Kay Langdale has managed to blend a heartbreaking story with one filled with hope, humour and honesty. Billy's situation is more common than you think, with many, many children finding themselves available for adoption in the UK. Different laws to the ones in Ireland mean that these children have the chance at a new life. A fresh start and a forever-family. But what happens when the social services can't find the right family? Is there a sense of panic? Placements made in desperation? One would hope not. The author brings us on the hopeful journey, alongside Billy, while also shedding light on the social workers role in the adoption process. This was a novel that struck a chord with me, personally, as I am a foster carer who has had many placements of this age bracket. The kids who are in care are not there by choice and have very little chance to voice their true feelings about their situation. After seeing a TV show on UK television, where it showed 'adoption parties' held for children needing new families, I was horrified to think that these vulnerable kids could be paraded like puppies in a pound, waiting to be chosen. However, at least there is the possibility, in the UK, for these families to adopt these children and dispatch with all the red-tape connected with foster care. Sometimes I wish our own government agencies would consider the fact that sometimes blood is not thicker than water, and some kids need a complete new life, without traumatic contact with their birth families. In the case of this novel, we can see how Billy is confused, feeling unwanted and unloved and tries his best to keep everyone happy, despite his own despair. This is typical behaviour of kids in care. They are more concerned with everyone else's feeling than their own. The families that Billy encounters on his match-making search are vastly different and bring some laugh out loud moments along with cringe-worthy interactions. There is a family of three, who have an older boy that is not so keen on having a nine-year-old sibling and has no qualms about letting Billy know; a deeply religious couple who would frankly scare the bejaysus out of ME, never mind a child; and a hipster couple with a rainbow family who want to add England to their countries of adoption, all the while believing they are single-handedly saving the world, Angelina and Brad style. In the midst of all these play-dates and sleepovers is a scared and lonely child. Billy writes his thoughts on scraps of paper and hides them in a tree. This is his way of coping. Miriam is really doing her best but sometimes cannot see his biggest fears. The novel unfolds at a gentle pace, with different viewpoints, and is a most pleasurable read. This is the second book of Kay Langdale's that I have read and I have two more here, ready to go. She is an author that deserves more attention. She writes with genuine feeling, delightful prose and gives the reader a satisfying experience while connecting with her characters. Bordering contemporary and literary fiction, she is definitely one to check out. Ideal for fans of Maggie O'Farrell or Anna McPartlin. Choose Me is published by Hodder and is available in paperback and ebook format. You can click HERE to read my review of Kay Langdale's Away From Here.